Manchester's new £110m Factory arts centre will not be ready in time for the city's International Festival in 2019, the council has confirmed. 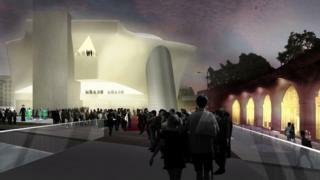 A proposal for the 5,000-capacity venue on the site of the former Granada TV studios was approved in July last year. The new home of the biennial Manchester International Festival was due for completion by summer 2019 but is now scheduled to open in early 2020. The provisional timescale has evolved as plans developed, the council said. The project was backed by former Chancellor George Osborne, who pledged £78m in last year's Autumn Statement as part of his Northern Powerhouse plans. Council leader Sir Richard Leese said Factory will be "a complete game-changer" for the city and will "make Manchester and the wider region a genuine cultural counterbalance to London". A planning application will be considered on 12 January and if approved, construction will start later in the year with the venue scheduled to open in 2020. In order to meet the £110m costs, the council is proposing a one-off contribution of up to £20m, mainly funded from income received from land and property sales. This will be combined with £78m Arts Council England funding, £5m in fundraising while an application for a lottery grant for the remaining £7m has been submitted. It is hoped the development will boost the local economy, create jobs and provide training. The building has been designed by world-renowned Dutch architect Rem Koolhaas and in November last year, the government pledged £9m a year for its running costs. It will be located in a new area, St John's in Manchester city centre, which will also be home to independent businesses and 2,500 residential units.